Oh no! It’s time for science class, and you’ve just not got the energy. Well – we’ll zap you awake with a killer fact or two! It makes stars shine and bonfires burn. It gives you the power to lift your pen and make it through class each day (well, most of the time!) What could it be? 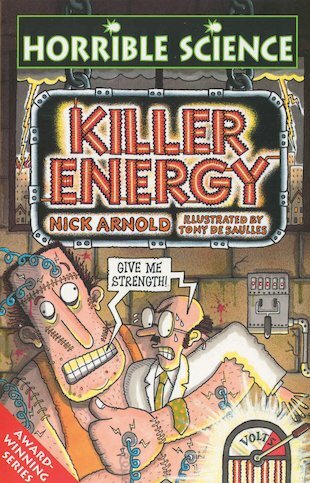 It’s killer energy! Power yourself up with a book of foul facts to leave you buzzing for more! It’s killer stuff!